We’ve sent the guide to your inbox! “I have worked with Sandy in two different health systems. 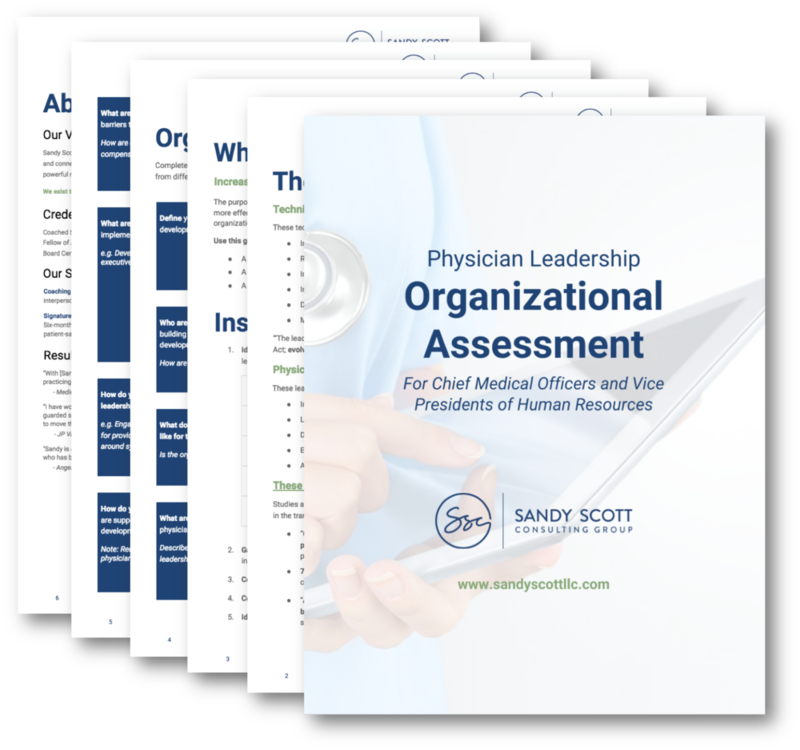 She has an incredible ability to connect with physicians and to break through their guarded skepticism to unlock their true passion for patient care, empathy, and leadership.